The Ohio Department of Transportation (ODOT) Office of Transit is sponsoring a pilot program centered on the Federal Transit Administration’s (FTA) Section 5310 Program to Enhance Mobility of Seniors and Individuals with Disabilities and the coordinated plan requirements. A coordinated plan provides the framework to expand service coverage and availability by bringing together federal, state and local transportation resources to minimize duplication of services. The ODOT Office of Transit is developing Specialized-Transportation Planning Regions for the state with a focus on public and human service transportation services. These proposed regions were based on the existing MPO/RTPO map, as well as the eleven Area Agency on Aging Regions in Ohio. 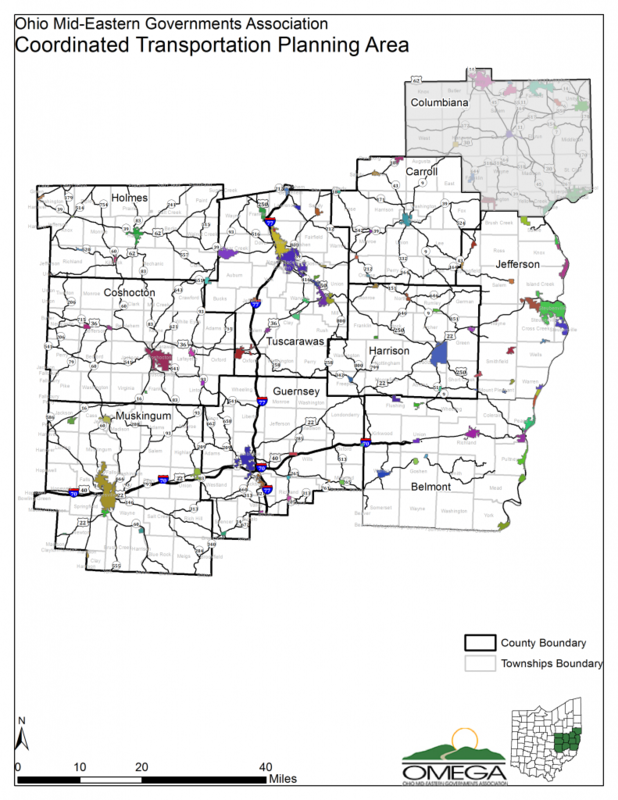 The ODOT Office of Transit has proposed that the rural pilot region will consist of the following counties: Belmont, Carroll, Coshocton, Guernsey, Holmes, Harrison, Jefferson, Muskingum, and Tuscarawas. This is the same region as served by the Ohio Area Agency on Agency Region 9 and includes all of OMEGA’s counties except Columbiana County. Excluding Holmes County, the other eight counties in the region are served by a transit agency or coordinated transportation agency. Ultimately, the transportation regions will be designated through a data driven process with an emphasis on origin/destination data, trip generators and information gathered from the pilot project. Administer Section 5310 projects on ODOT’s behalf for the region. This could include project selection and/or oversight.